Throughout the year there are a variety of Formation experiences taking place on Emmanuel's campus for adults to participate in. Some happen weekly, others seasonally, and still others are spread out over the year. 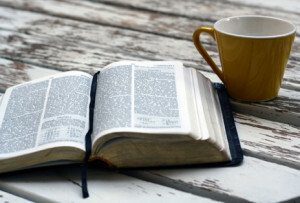 On Sunday mornings, during the "Sunday School" hour there is a weekly forum where a variety of topics either from Scripture, Theology, Anglicanism, Creeds, Prayer, Liturgy and many more are offered by a variety of facilitators. During this time our parents of youth and parents of young children also meet to share and reflect on their experiences as parents in light of scripture, the church and the value of discovering faith in a community of their own peers. Two or three times throughout the year (depending on the need) for a season of eight sessions, individuals who are new to the church at large or the Episcopal church in particular come to share their stories while responding to Jesus' invitation to his disciples (and to each of them) to "Come and see..." They are called "Inquirers" those who have the gift of faith but are discovering where and how to best express their gift. Different "Companions in Christ" groups meet. These are small faith sharing groups grounded in reflecting on the scriptures and their particular call to growth in Christ with one another. On Monday morning there are a number of folks who come together to read and reflect on the coming Sunday's scripture readings and then reflect more deeply on the life that Christ calls each of them to live in the world. Twice a year a presentation on religion in the marketplace or Faith in Practice is offered for the entire community of Athens through our "Steeple and Sidewalk." Additional programs and formation offerings take place during the seasons of the church year, especially during Lent and Advent.